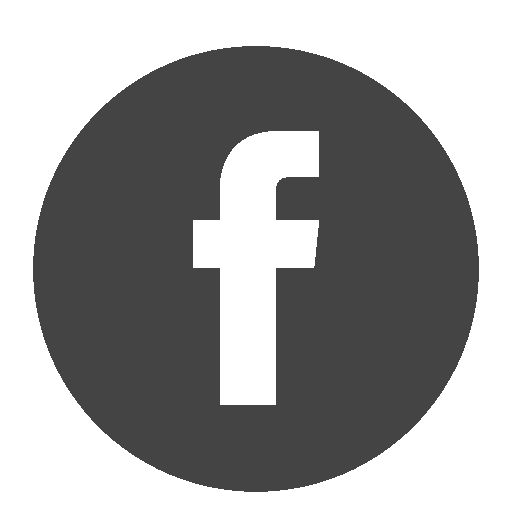 You’ll find my blog to be a wealth of information, covering everything from local market statistics and home values to community happenings. I love the Central Coast community and want to help you find your place in it. Please reach out if you have any questions at all. I’d love to talk with you! 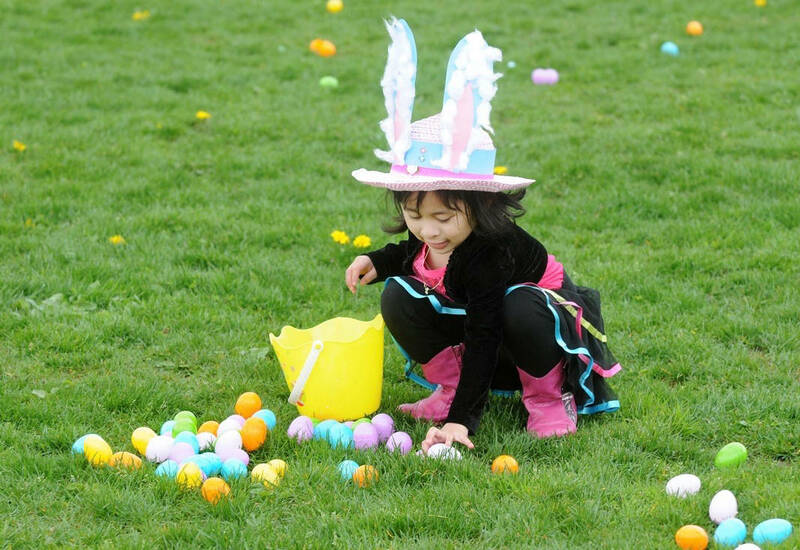 Spring is finally here and with the new season, comes lots of fun local events to enjoy! From wine festivals to local markets, make time to get out and enjoy the beautiful Central Coast! A beautiful display of orchids will be featured among exhibits, vendors, and local orchid societies at the Central Coast Orchid Show. The American Orchid Society will judge plants being exhibited while vendors will offer a large variety of orchids, orchid books and orchid supplies for sale. 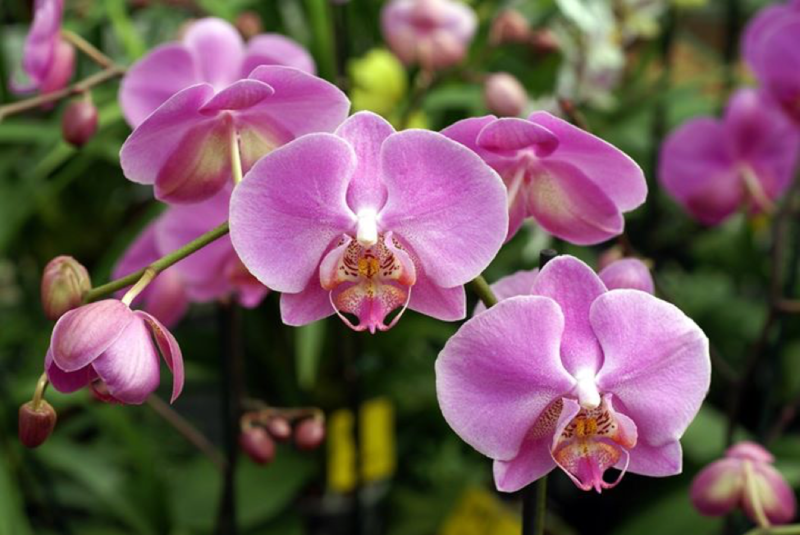 The Orchid Show takes place at the South County Regional Center in Arroyo Grande. Click here for more information. The Poly Royal Rodeo is back for its second year! 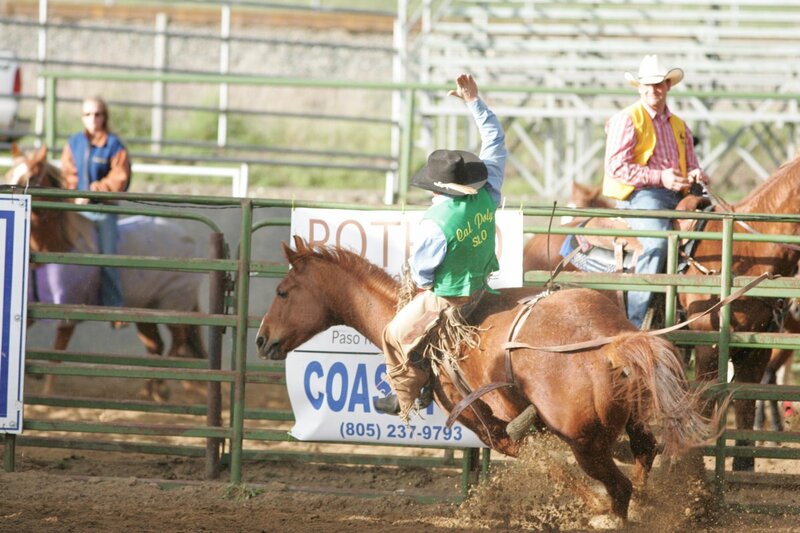 Bring the whole family to watch an “old west” style rodeo with Cal Poly’s finest athletes. A concert follows the rodeo on both Friday and Saturday night and is included in your general admission. Click here for more information about the Poly Royal Rodeo. Pismo Beach’s annual Taste of Pismo is back on April 20thand 21st. You’ll definitely want to check out this awesome local event that celebrates all-things Pismo Beach! There is plenty of premier wine, central coast artisan brews, and food available throughout the event. Click here for more information. Enjoy your Easter with an awesome (and free!) egg hunt at Dinosaur Caves Park! This is a great activity to bring your kids to, as there will also be games, bounce houses, face painting, and more activities for your little ones. Click here for more information about this event. 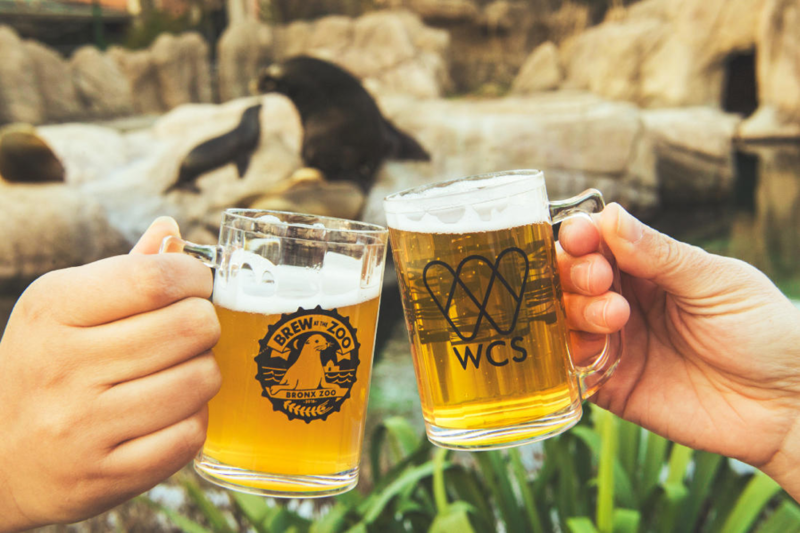 Brew at the Zoo is back at the Charles Paddock Zoo! This is a ticketed event, so be sure to get your ticket soon. Your ticket includes a commemorative beer glass, craft beer, wine, and cider tastings for all persons over 21. Brew at the Zoo will also have live music throughout the zoo to enjoy while you walk around and enjoy the animals. Click here for more information. Enjoy the 16thAnnual Olive Festival by celebrating all things olive! The Olive Festival comes to Paso Robles every year and is full of fun. Enjoy olive oil tastings, soaps, gourmet foods, plus arts and crafts. There will also be quirky items to sample like olive oil ice cream! 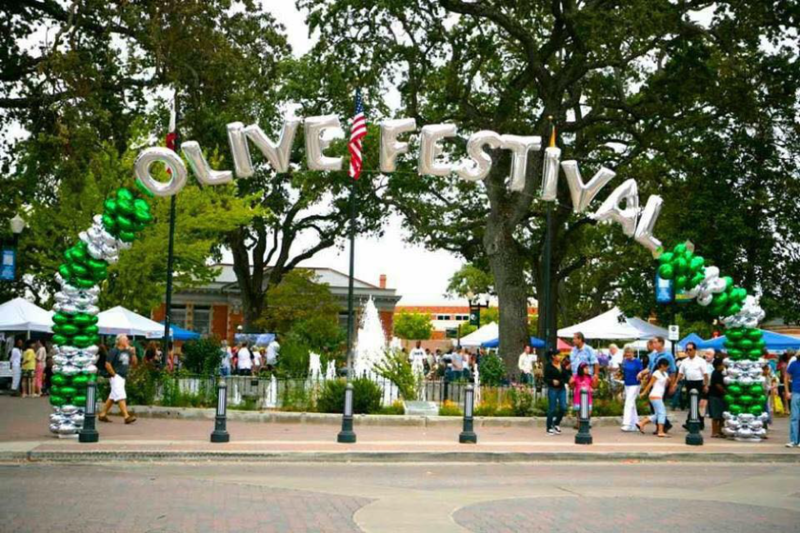 This is a fun event that the whole family can attend.Click here for more information about the Olive Festival. 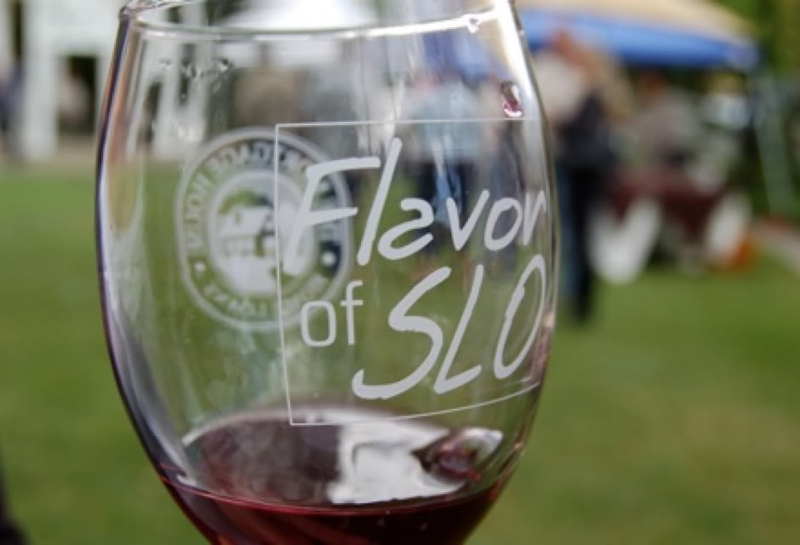 The 11thAnnual Flavors of SLO is on May 4ththis year. If you’ve never made it, I highly recommend this event! This is an all-inclusive event that hosts some of the best wine, beer, and food in SLO County. There is also live music that plays throughout the day while you sip on your vino. Click here for more information. This beautiful 10K race course runs along the water’s edge from Morro Rock to the Cayucos Pier. 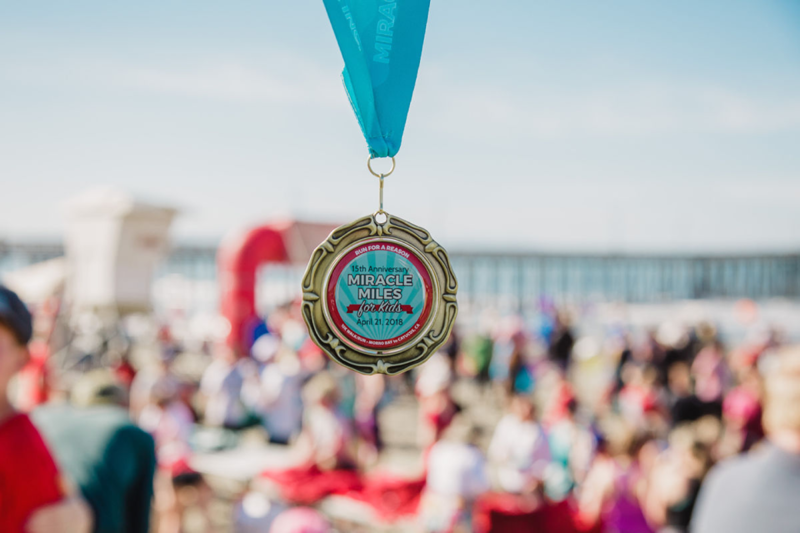 Miracle Miles 10K is a very special event that helps to support and give services to the children in foster care in San Luis Obispo and Santa Barbara county. Last year over 2,500 people participated in the Miracle Miles for Kids event! Let’s make this year even larger and help support the disadvantaged youth in our community. Click here for more information. 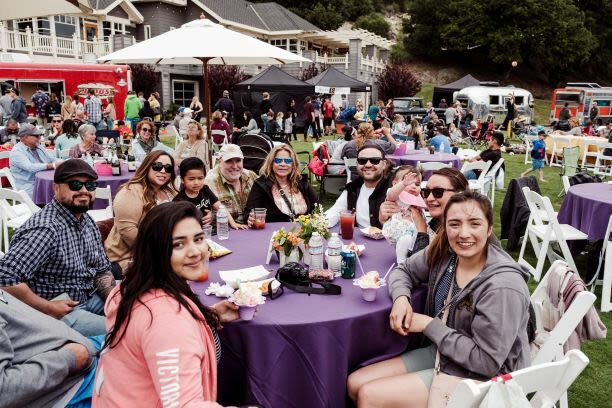 If you’re looking for a fun activity to take your Mom to this Mother’s Day, consider Brunch on Wheels at The Avila Beach Golf Resort! Local food trucks will be serving up special brunch menus just for Mother’s Day. Brunch on Wheels will also feature live music by B & The Hive, lawn games, and the ever-popular Mimosa and Bloody Bars. Click here for more information. 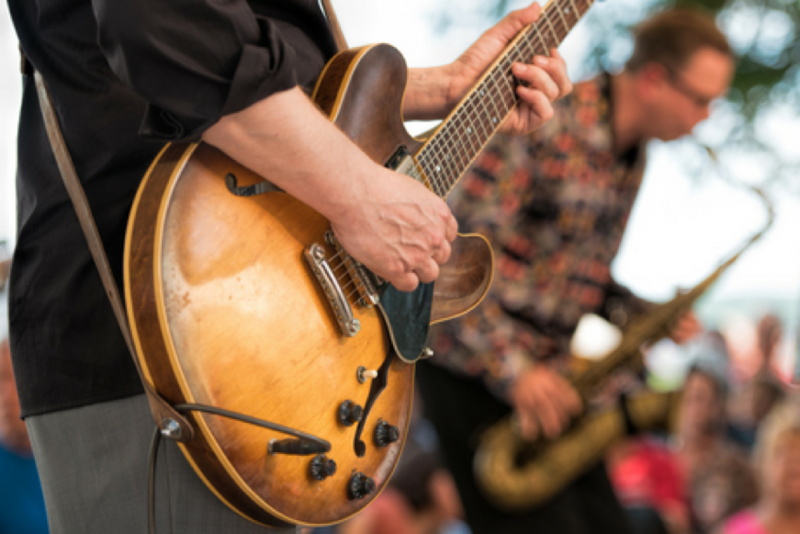 Celebrate Sunday Funday by enjoying the return of the Pacific Breeze Concert Series at Dinosaur Caves Park! Just bring a blanket or your lawn chair and enjoy live music, food trucks from local vendors, a bounce house, and crafts for the kids. This is such a fun activity to enjoy with your family this spring summer! Click here to learn more about this event. One of the biggest events in Paso Robles, the 37thAnnual Paso Robles Wine Festival is back! 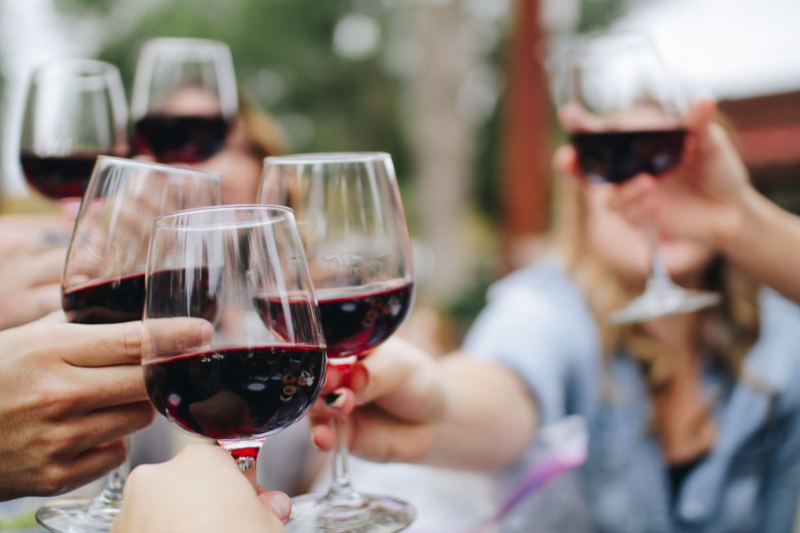 Enjoy winemaker dinners, seminars, and of course lots of wine tasting from over seventy wineries on the Central Coast! Click here for more information. 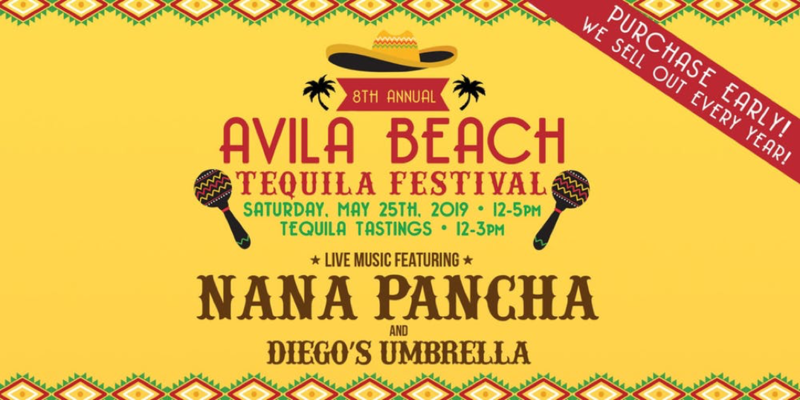 Come kick off the summer with the 8thAnnual Tequila Festival in Avila Beach on Memorial Day Weekend! This is a ticketed event, so be sure to get your tickets before it sells out. This is an event you don’t want to miss! Click here for more information. 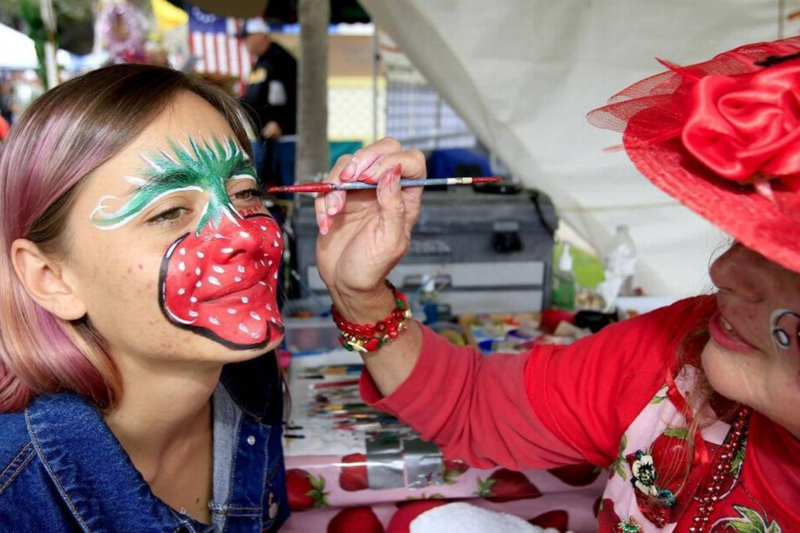 The Arroyo Grande Strawberry Festival is one of California’s largest events on the Central Coast! This family-friendly event is the perfect way to spend your Memorial Day Weekend. Come enjoy live entertainment, the Strawberry Stampede, art and crafts, display booths, and so much more! Click here for more information. This annual event is designed as a remembrance for those who have died in our nation's service. 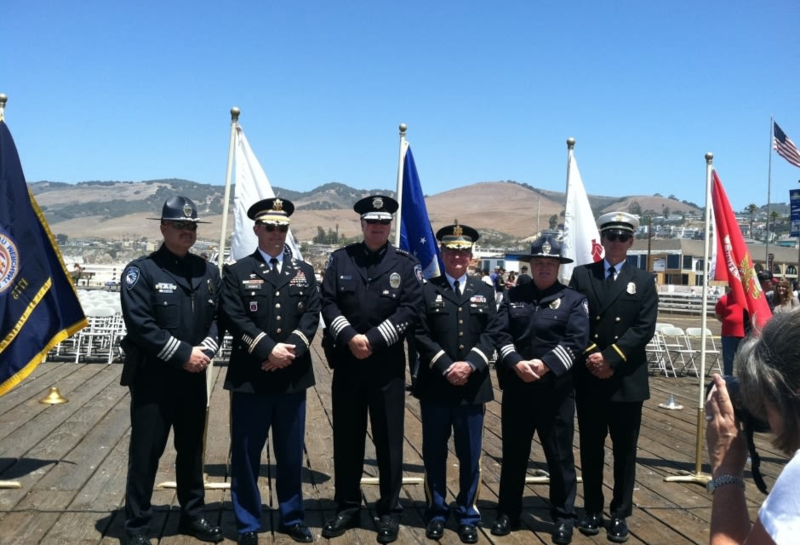 Gather at 11am on the Pismo Beach Pier Promenade to honor and remember those we have lost. Click here for more information. What event are you most looking forward to enjoying this spring? Leave me a comment below! 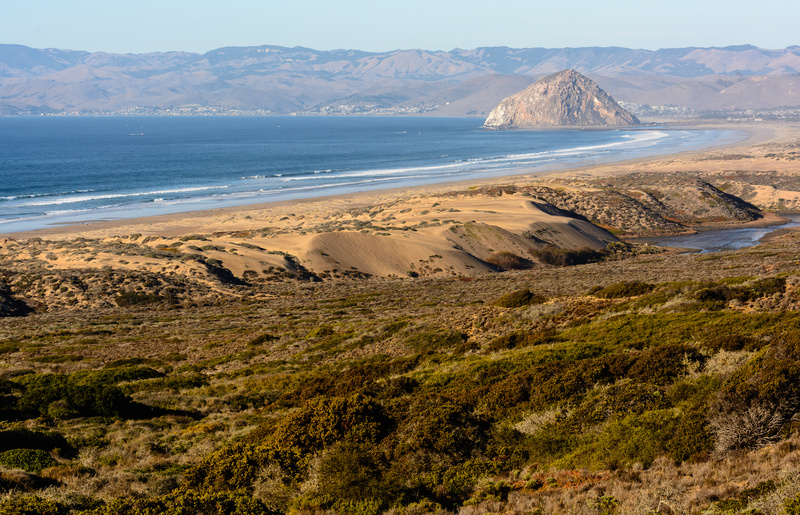 Head up to Morro Bay to see the iconic Morro Rock! One of the landmarks of the Central Coast, Morro Rock formed 23 million years old from the plug of a long-extinct volcano. A California Registered Historical Landmark, Morro Rock is a popular place for wedding photos, commercial shoots, and local events. But the beach is a great place to relax on a warm spring day with your family. Bring a picnic lunch, bathing suits, and surf boards! While not exclusively outdoors, Highway 1 takes you through some of the most scenic coastline in all of California! Pick it up from San Luis Obispo and follow it north through Morro Bay, Cayucos, Harmony, Cambria - all the way up to San Simeon and Hearst Castle. Along the way, make plans to stop and enjoy the ocean views, unspoiled beaches, tide pools, wildlife, and of course, our great coastal towns! Dinosaur Caves Park is the perfect place to spend a fun day in the sun. Named for a large concrete dinosaur that was built at this location in the 1940’s, this 11-acre park in Shell Beach features a playground, picnic tables, walking paths, and grassy areas. Visitors should note that you can’t access the beach from the park, but you can enjoy gorgeous views of the coastline! Reservoir Canyon Trail is 5.35 miles round-trip with an elevation gain of 1,325 feet. This hike starts off fairly easy and gradually gets more difficult towards the end. Many say that the last mile of the trail is one of the most challenging in the area! But the views from the summit are well worth the effort. This trail also features a waterfall, Reservoir Canyon Falls, which you can view by taking a short detour towards the beginning of the hike. This is a great hike to do with family or a group of friends on a Saturday morning in the spring or summer. Want to go tide pooling? Then head to South Palisades Park! Enjoy a picnic in the park on the bluff and then go down to the beach at low tide to explore the unique rock formations and tide pools on the beach. The stairway to the beach is located off Beachcomber Drive. Parking is free in this area! Fisherman’s Beach is the smallest beach in Avila and Port San Luis Harbor. This beach was once called Dog Beach by locals because it was a leash-free beach for many years. However it’s important to note that dogs are no longer allowed on Fisherman’s Beach. (Although they are allowed on nearby Port Beach!) You can also go RV Camping on the beach, which is a fun thing to do in the summer – imagine waking up with the beach at your feet! Hardford Pier is one of the two public piers in Avila Beach. It may be a bit off the beaten path, but it’s not far from the busier Avila Pier! Hardford Pier is a working pier that’s home to a seafood company, but the main attraction is the Olde Port Inn. Olde Port Inn is a great little seafood restaurant at the end of the pier that is definitely worth checking out, at least for the view! You can also fish from the pier if you have a license. Lopez lake is located just 10 miles from Arroyo Grande! This beautiful lake is surrounded by rolling hills, trees, and shrubbery. Lopez Lake is a great place to go if you enjoy hiking, camping, boating, and wildlife. It makes a great weekend getaway that is not too far from home! For an exhilarating outdoor adventure, go off-roading in the Oceano Dunes! This sandy 5 ½ mile stretch is best explored from the back of an ATV! You can also go surfing, swimming, and horseback riding in the area. 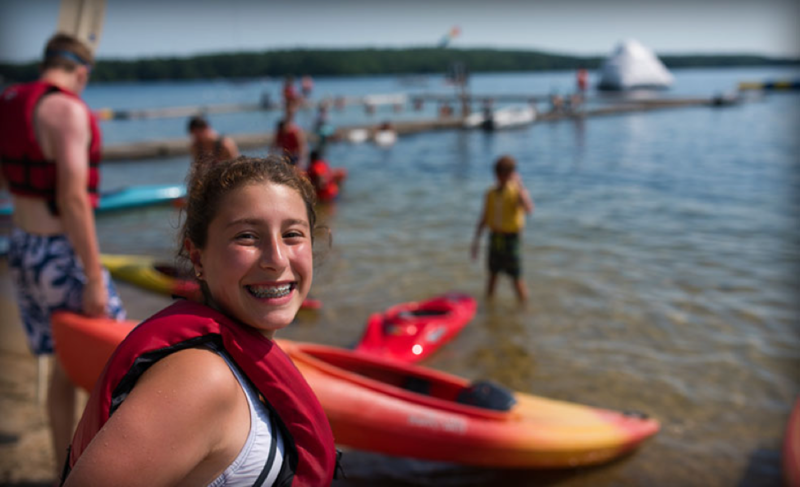 To make a weekend out of it, stay at the nearby campgrounds. Bishop Peak is the tallest of the Nine Sisters and offers visitors an excellent hiking experience. With an elevation gain of 1,175 feet the trail is just 4.2 miles round trip. While somewhat challenging, this hike isn’t as hard as some others in the area which makes it great choice to enjoy with family or out-of-town guests. From the top, you’ll enjoy panoramic views of Cal Poly, the Santa Lucia mountains, downtown San Luis Obispo, and more. Where is your favorite place to spend time outside on the Central Coast? Leave me a comment below! You've just found out your credit is A+. That's great news, because a new car would look fantastic in the driveway of your new home. But hang on--if you are depending on a mortgage to move in, you'd best wait until after closing to buy the car. If you tack on a higher car payment, the bank might decide you cannot afford the home. Your good faith deposit should go into a trust account. Some for sale by owner sellers don't understand that funds are to be applied to your expenses at closing. I've heard many stories about sellers who spent the deposit money prior to closing. When the transactions didn't take place for valid reasons--such as financing or repair issues, the buyers had to fight for a refund. Find an attorney or other neutral party who will hold the deposit for you until closing day and make sure your contract dictates what happens to the funds if the transaction doesn't close. Keep a cool head during the entire home buying process, especially during and after an inspection. Be realistic. No home is perfect, especially older homes. It's not unusual for new owners to take care of some repairs themselves. Don't let the seller's refusal to do a small repair kill the deal on a home you truly love. On the other hand, don't fall so much in love with the house that you'll buy it no matter what needs to be done--unless you're absolutely sure you can handle it emotionally and financially. Decide what type of repairs you can realistically tackle, and then stick with the decision. That sounds simple, but you'd be surprised how many people forget to apply for utility service at their new home. Call the utility companies as soon as you have a contract. Find out how many days lead time they need to switch the service, and then get back with them when you have a firm closing date. Don't forget to discontinue services at your old home. I'll get some flack on this one. It's great to be friendly, but don't get into too many long discussions with the sellers, because personality conflicts often cloud judgments. Remember, this is their home. You're no doubt excited about moving in, and if you didn't like the house you wouldn't have offered to buy it. But you'll make changes--everyone does. A casual statement about "ripping up that ugly carpet" might be hurtful enough to keep the seller from negotiating with you about repairs or other issues that crop up. If you have any questions, please feel free to reach out to be anytime at (805) 441-1276! I love working with home buyers and would be happy to help you find the home of your dreams. Not ready to start actively searching yet? Feel free to start browsing homes on my website to get an idea of what's currently on the market. In the fall, experts reported that nationwide the housing market was beginning to shift to a buyer’s market. We can certainly see those effects already on the Central Coast with many areas reporting a decrease in home sale prices year over year. If you’ve been thinking of selling, now may be the right time to get your home on the market! Give me a call at (805) 441-1276 to get started! The data below is current as of January 31st, 2019. 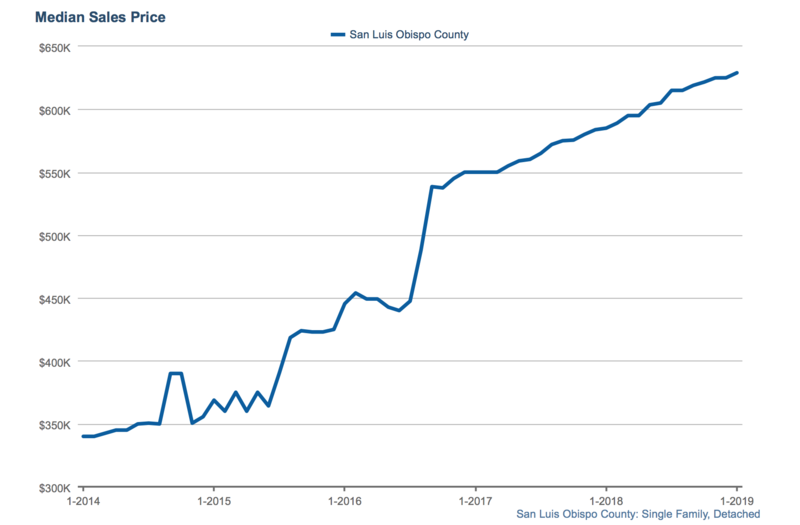 In San Luis Obispo County, home prices were up 7.5% year over year to $629,000. Condos and townhomes however were only up 3.9% compared to December of last year. The median sales price for a condo or townhome in San Luis Obispo County is now $410,000. 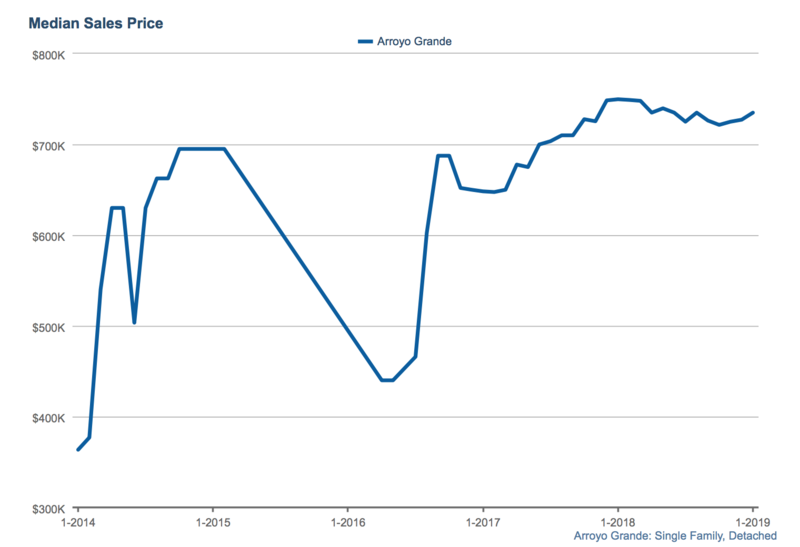 Home prices for a single family home in Arroyo Grande are down slightly (2.8%) from last year at this time. The median sales price for a detached home in Arroyo Grande is now $727,200. But prices for a condo or townhome are up 5.5% to $380,000. 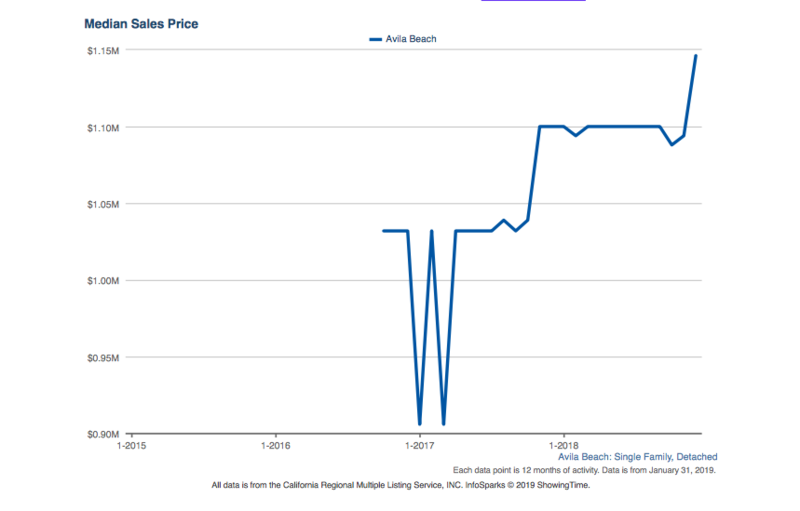 The price of a single-family home in Avila Beach has increased 4.2% over the last year, bringing the median sales price of a home to $1,146,240. Townhomes and condos in the area have also increased a total of 11.6% to $809,450. 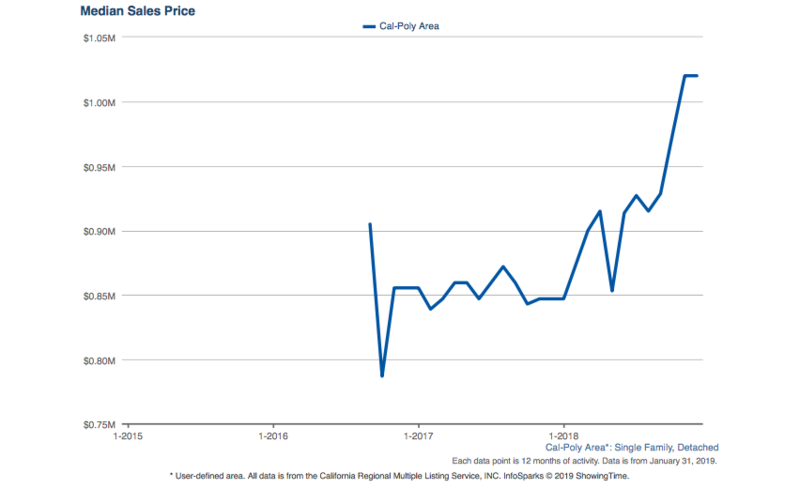 The Cal-Poly area has seen a 20.4% increase in the price of single-family homes since December 2017. This brings the median price of a home to $1,020,000. Townhomes and condos have also seen prices increase 2.6% to $502,500. 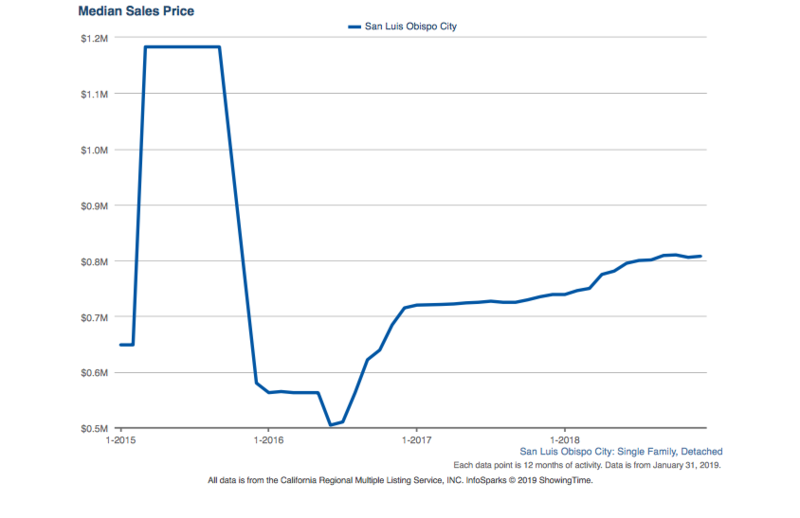 The city of San Luis Obispo has seen sale prices for single-family homes increase 9.3% year over year. This increase brings the median home sale price to $807,640. The median price of townhomes and condos in SLO has decreased 6.6% since December 2017, bringing the median cost down to $460,000. 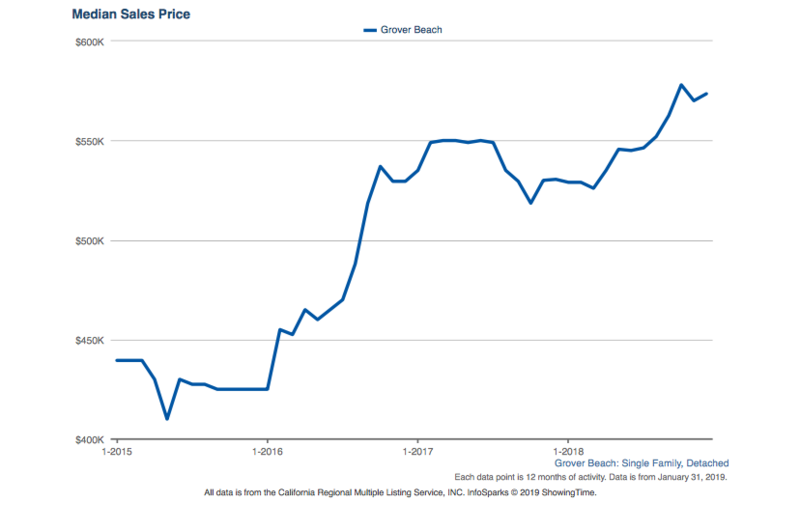 The median price for a single family detached home in Grover Beach has increased by 8.1% since December 2017. This brings the current median home price to $573,500. The prices of townhomes and condos have also increased in Grover Beach. The current price is currently $369,000 - a 10.8% increase from the end of 2017. 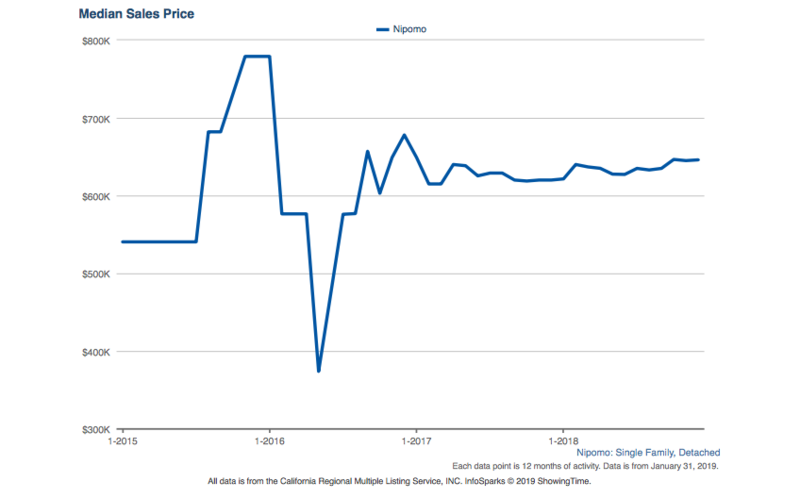 Nipomo has seen the price of detached homes increase 4.2% since December of last year to $646,000. Townhomes and condos however, have seen a significant increase of 21.7% from December 2017. The median price of townhomes and condos in Nipomo is now $420,000. 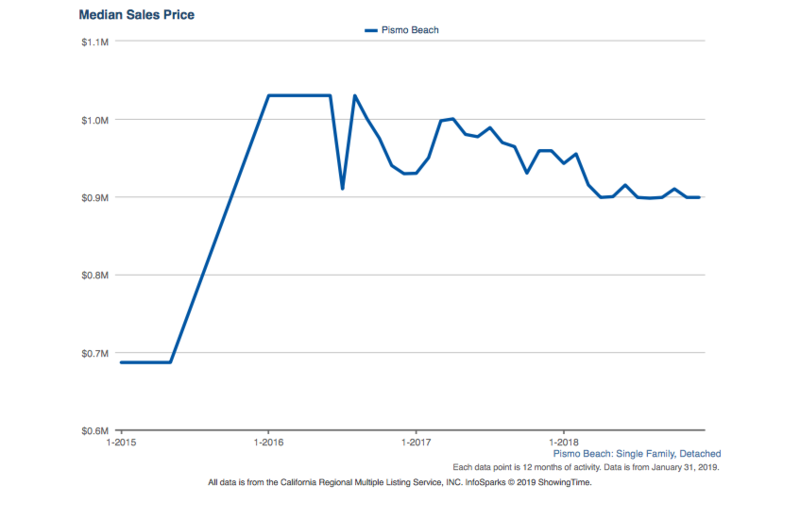 Pismo Beach has seen a decrease of 6.3% in the price of single-family detached homes since December 2017. The median price is currently $899,000. Townhomes and condos however, have decreased 14.1% year over year to $580,000. Want to know what your Central Coast home may currently be worth? Click here to request your free market report or contact me for a more in-depth analysis. And if you’re thinking of selling in 2019, I’d love to chat with you about what I can do to get your home sold quickly and for the best possible price! If you’re in escrow, you should generally avoid making any large purchases such as buying a car or furniture for your new home. Making a large purchase during escrow can negatively affect your debt-to-income ratio (DTI), which could jeopardize your final mortgage approval. If it is absolutely necessary that you make a large purchase before closing, be sure to talk to your lender. Every situation is different. Banks like to minimize their risk and give loans to people they feel are a “safe bet” – people with a history of good financial practices, stable income, and a stable job. Obviously you can’t control everything that happens to you, but if you know you want to change jobs or careers, wait until after you have the keys to your new home safely in hand. And if you absolutely must make a change, a job within the same industry is usually viewed as less risky by the bank, especially if that job change brings a pay increase. The lender reviewing your loan will check your credit towards the end of escrow and opening and closing credit cards can affect your credit score. Opening a new credit card usually results in a credit inquiry, which can drop your score a few points. If you do accidentally open a new credit card, don’t charge anything to it until you get the keys and be prepared to talk to your lender to explain the situation. You should always pay your bills on time, but during the escrow period it is especially important! Make sure you are staying on top of all your monthly expenses, even while house hunting. If your credit score drops during escrow, you may no longer be able to qualify for your loan. You should also consider paying down your outstanding credit card debt during the billing cycle, rather than waiting for the auto-payment to process. And if you have credit cards you never use, make sure you’re keeping an eye on those as well to be sure there aren’t any annual fees or auto-payments you forgot about. Do you have more questions about how the escrow process works? Or about buying a home in general? Give me a call at (805) 441-1276! Now that the holidays are over, it’s time to do some deep cleaning around the house. After all the hustle and bustle of the holidays, you’ll want to make time to put away all the decorations and make a fresh start for the New Year. In addition to your normal chores like vacuuming and dusting, keep reading to pick up some clever tips and tricks to deal with six common post-holiday cleanup woes! 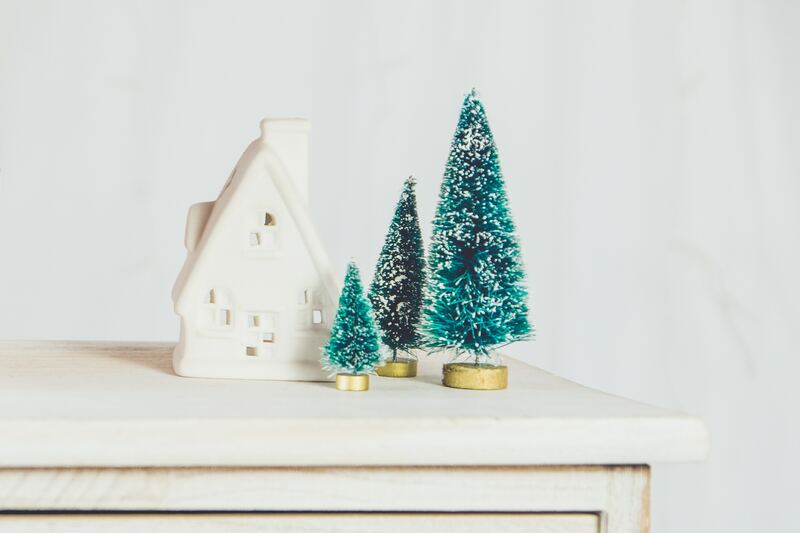 Fake snow in your home’s windows looks so festive and fun- especially if you live in California! But removing it isn’t always the easiest. To make cleanup easier, use a diluted vinegar mixture. Vinegar cuts right though the adhesive that keeps the snow stuck to the window! When packing up and putting away all those holiday decorations, it’s easy to just throw everything in a bin and decide you’ll deal with it next year. But make this the year you stop putting it off! Make time to develop a system to organize everything neatly, throw out anything that’s broken, and get rid of items that may be worn out or you just don’t love anymore. Remember that you can always donate your unwanted holiday décor to your local thrift store! Every year we string up lights on our homes, porches, and Christmas trees. They look so festive and beautiful! But when it comes time to take them down, they can quickly become a tangled mess that you’ll need to spend hours unraveling next year. To avoid this problem, find a piece of cardboard and wrap the lights around it. Cut grooves into the cardboard to keep the strands in place. This will keep your lights neat and ready to be hung next year! Some of us are lucky enough to have friends and family visit over the holidays - which means your guest bedroom might need some TLC! Be sure to start by stripping the bed and washing all the sheets, pillowcases and blankets. Wipe down doorknobs and other surfaces to disinfect them. And make sure to scan the room for any items your guests may have accidently left behind. Click here for information about the best way to recycle your Christmas tree in San Luis Obispo County. But you may want to call and check that they’re indeed still accepting Christmas trees. Many cities also have local drop off areas at parks and tree lots that will haul the trees away by the end of January. Red wine is usually flowing during the holidays, so it wouldn’t be unusual to spot a few carpet stains around your home in January. To tackle those missed stains, order something like Wine Away or create your own DIY wine stain remover. For instructions on how to DIY your own carpet-cleaning solution, click here. I hope you had a wonderful holiday season with family and friends! I love this time of year, but it feels just as good to get back into the swing of things in January. I hope you enjoy these New Year cleaning tricks to get yourself, and your year, started off on the right foot! If you’re thinking of remodeling your home before putting it up for sale, it’s important to have a strategy. 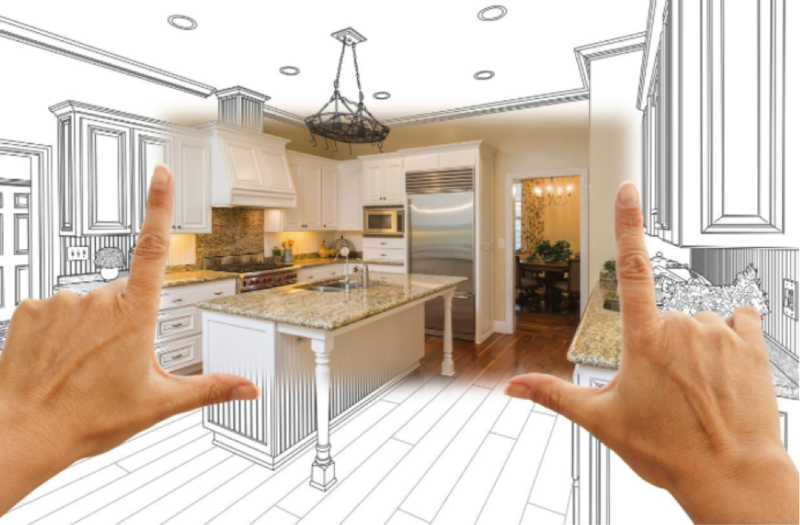 Remodeling with specific goals in mind will not only improve your home physically, but will have buyers anxious to make it theirs. And paying attention to which improvements offer the best ROI can help your home sell for top dollar! Let’s start at the front of the house. Landscaping is an important feature that can make potential buyers excited about your home before even stepping inside. Be sure to calculate the cost of materials per square-foot before purchasing, as well as possible delivery and/or installation costs. You may also want to hire a landscape architect to help you with the design. But whether you choose to DIY or hire a professional, landscaping is sure to yield a great return as curb appeal dramatically influences a buyer’s opinion about your home. 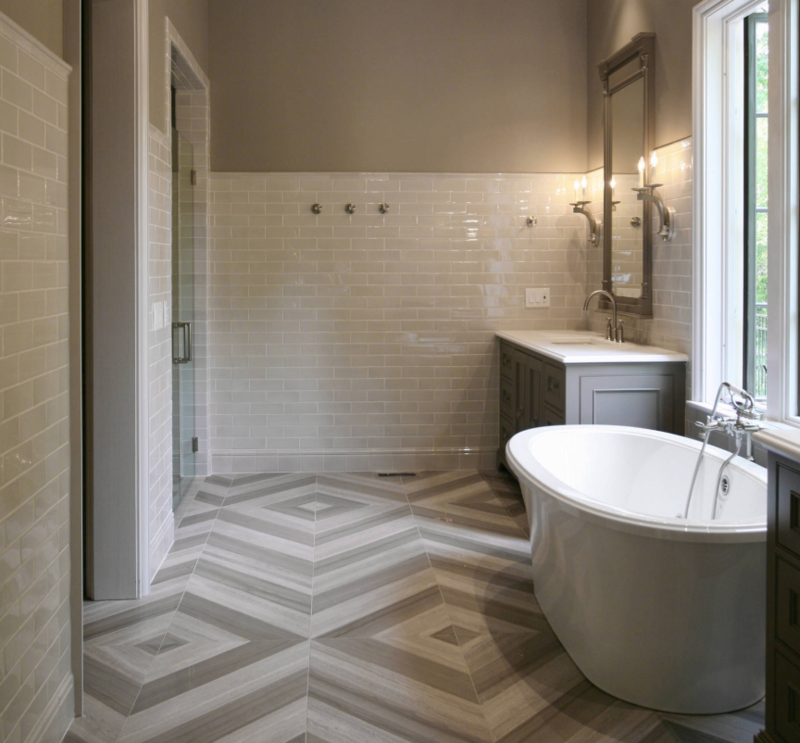 Bathrooms are one of the most important rooms to homeowners and buyers alike. And they’re also one of the most expensive areas of the home to remodel. But the returns are often worth it! Before you start tearing things out, just make sure you’ve thought through all the potential costs. Replacing the tub, tile surround, flooring, toilet, sink, vanity and fixtures can add up especially if you’re using high-end materials. If you’re not wanting to do a full bathroom remodel, try replacing the vanity, redoing the tile on the wall, or even just painting. Remember, you may not have to replace everything to give your bathroom a fresh, modern look! A full kitchen remodel can get quite expensive. If you’re thinking about making some changes, it is best to start small with basic appliance and cosmetic updates rather than completely rearranging the space, which may require new plumbing and electrical work. You can also save some money by sanding and repainting or staining your cabinets rather than buying brand new ones. This is especially true if you have real wood cabinets. A kitchen is a great choice to update however, as this is one of the most important considerations for buyers. 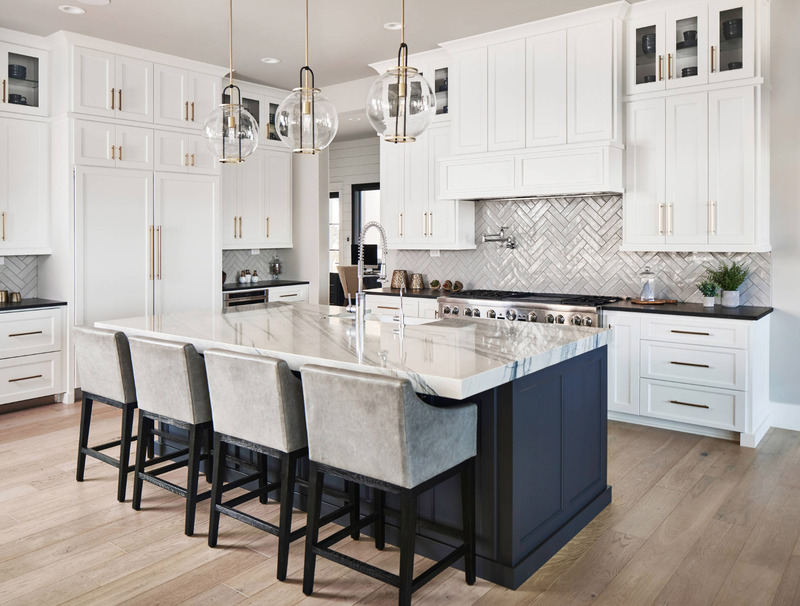 If you do choose to do a full kitchen remodel, try to pick a modern, but still classic look. And do your best to maximize the storage space! A great backyard appeals to just about everyone. Adding a small wooden deck or patio can yield a great return on your investment. Just make sure to hire a professional if you’re not skilled in doing the work yourself. Many families with young children may skip over your home if they know they’ll need to do some work to make it safe for their kids. This is especially important to keep in mind if you want to add a pool or spa. Don’t make it impossible for the next homeowners to add a safety fence around it. This may seem like a boring update, but it will pay you back in the end. Replacing ten 3x5 ft. windows runs about $9,700 on average. But according to HGTV, you will recoup an average of around $8,700 when you sell- an ROI of almost 90%. So don’t overlook your windows, as they might be one of the easiest returns you’ll receive on your home remodel! Before you start remodeling remodeling, take a good, hard look at the neighborhood around you. What do the surrounding homes look like? What updates have been done in recent years? And what quality of materials were used? You don’t want to over improve your home relative to your neighbors. Homes are appraised relative to the last comparable sales in the area. The home inspector probably won’t care that you paid $100 each for the tiles in your new kitchen’s backsplash while your neighbor went down to Home Depot. So if you’re not sure what your neighbors have done to their homes, stop by and ask! This is also a great excuse to get to know your neighbors. Remodeling a home is a big job. You want to be sure that you’re making decisions that will pay you back when it comes time to sell, not lose you money. Need more guidance on what improvements you should consider doing for your home? 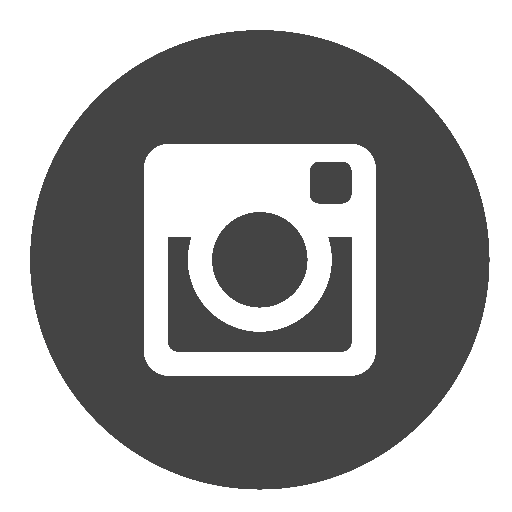 Or just want a referral for a local professional in the Arroyo Grande area? Give me a call – I’ll be happy to help! The New Year always brings new trends, but not all of them are widely embraced by homeowners. A few items on the list below have been popular for awhile now (think brass, neutrals, and bucket sinks) while others (like velvet) never seem to quite catch on. Velvet is poised to make a big come back this year! If you’re a little skeptical of this trend, start small with some velvet accent pillows. This will give your living space the same luxe feel without having to commit to a velvet couch. It looks as though brass will continue to be a favorite in 2019. An alternative to the classic stainless steel and nickel, brass is much warmer and will lend a homier vibe to your bathrooms and kitchen. And keep in mind that mixing metals is no longer a faux pas! Don’t be afraid to mix brass alongside other metals in your décor. 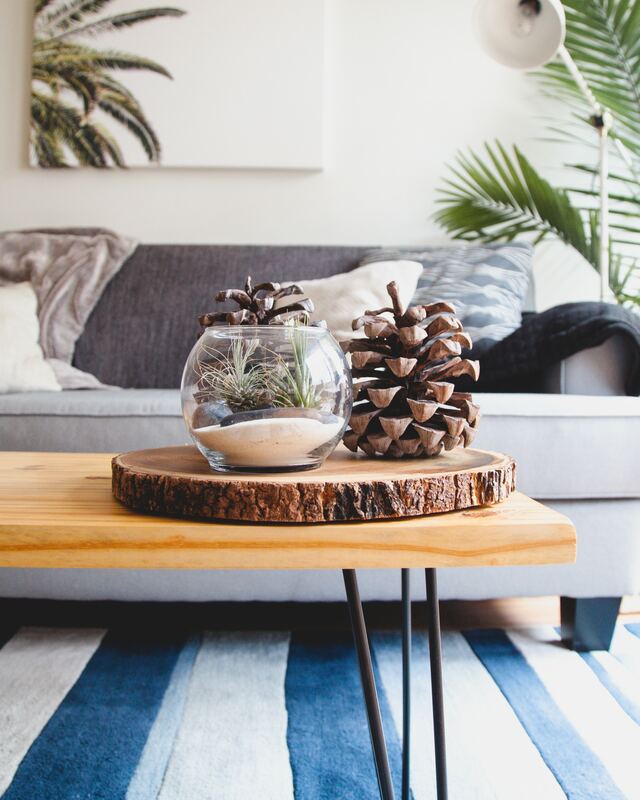 Mother nature is finding her way into home design for 2019! Expect shades of green, ivory, taupe, and tan to be popular colors in paint and home décor. Nature motifs are also increasingly popular. Think graphic palm leaf prints and florals. And more people are choosing to share their space with houseplants of all shapes and sizes! From hardy succulents to delicate orchids, homeowners are finding their green thumb. Neutrals certainly aren’t going anywhere in 2019! But they are getting a bit of a makeover. Greige (a combo of grey and beige) has been a popular shade for several years now, but now other, warmer neutrals are trending. Colors like taupe, terracotta, gold, and deep grey. Warmer neutrals combined with natural materials like stone and wood make the perfect pair! Geometric patterns made a big appearance in home design in 2018 and are back in full force for 2019! Geometric patterns are fun, unique, and make a statement in the home. Not sure where to start? Paint a simple black and white pattern on the wall of your bathroom or home office. All in on this trend? Try a geometric tile backsplash in the kitchen or bathroom. Bucket sinks are due to make a comeback this year! Also known as troughs, bucket sinks bring a vintage vibe to your kitchen or bathroom. Stick with a neutral color like black, grey, or white to keep the classic look of a bucket sink. It looks like millennial pink is sticking around for another year. Millennial pink is a warm, dusty shade of pink that grew in popularity in 2018. This shade looks surprisingly good in bathrooms, bedrooms, and living spaces. But less is more when it comes to this color. Try a millennial pink accent pillow or throw blanket in the living room. I hope my list of 2019 home design trends has inspired you to try new things in the coming year! 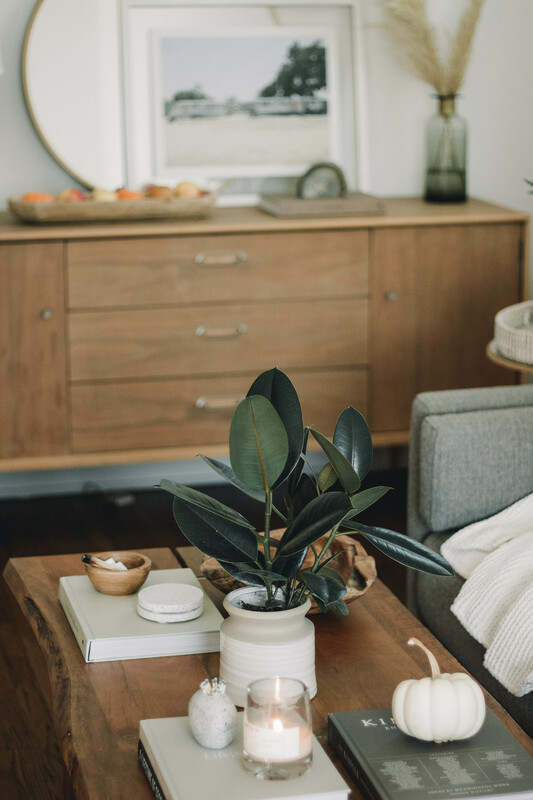 Whether you just pick up some pillows or decide to redo your entire bathroom, incorporating the latest trends can help your home feel fresh and stylish no matter its age. Preparing to sell, but want to update your home first? I’d love to give you some suggestions on which trends are likely to appeal to today’s homebuyers. Give me a call at (805) 441-1276 and let’s discuss! Don’t be afraid to ask questions! Feel free to ask the agent about the neighborhood, the surrounding schools, or if there are any special assessments or other fees associated with the property. Be aware that the agent at the open house could just be filling in for the actual agent, and could possibly not know much about the listing property. This is very common and nothing to worry about! Just make sure to get the listing agent’s information so you can follow up with them. Always ask before you start snapping pictures and taking video. Remember that the home could still be someone’s residence and they may not want pictures taken. If you are allowed to take photos though, go for it! This is a great way to help you remember the details about the home, especially when you’re on your sixth open house on a busy Saturday. If you’re not allowed to take pictures, make sure you jot down some notes about the things you liked and didn’t like about the home. Your notes and photos will help you understand what you are really looking for in your future home. Before or after visiting the open house, take a stroll around the neighborhood. You might be surprised, pleasantly or otherwise, about your surroundings. You might also want to drive a larger radius around the home to see where the nearest grocery store, gas station, park, and more are located in reference to the home. If you’re really interested in the home, be sure to come back after dark – neighborhoods can change a lot after the sun goes down! Sticking doors and windows can be a sign that there is a problem with the foundation. By paying attention to these features during the open house you’ll be doing some preemptive checking on the condition of the home. But don’t write a home off if you notice a door sticks slightly, as this can also be due to humidity and recent rainfall. Other warning signs to look out for are gaps around window frames or sagging, uneven flooring. If you end up moving forward with the home, be sure to use a home inspector who has a reputation for being thorough. If you’re planning to use an hour of your time on a Saturday to go to an open house, try to see a few more. Look for several open houses happening in the same neighborhood and visit them all. Next weekend, you can do the same in a different area. This will help you maximize your time and allow you to begin to notice those small differences that set similar homes apart. You never know what other buyers may know or notice about the home that you haven’t. Pay attention to what other buyers are looking at, talking about, or asking the real estate agent at the open house. Or you can make conversation with them yourself! Please don’t hesitate to contact me if you have any questions at all about the home buying process. I would be more than happy to help. And when the time comes that you’re ready to have a Realtor represent you in your purchase, I would love to have the chance to earn your business! Enter a winter wonderland and find yourself immersed in a world of twinkling lights, music and merriment throughout the holiday season. Shop in the vendor market, take photos with Santa, enjoy live music, taste traditional German foods, sip warm glühwein and more at this charming outdoor festival. Come visit Santa in Mission Plaza at Santa’s House from November 24 through December 24! Children who visit Santa receive a complimentary activity book, toy, and candy cane. Pictures are also available for purchase. Celebrate the merriest season in San Luis Obispo at the Apple Farm. Events include photos and visits with Santa, holiday music at the restaurant, seasonal menus, and more. Sold out for four years in a row and back by popular demand, the San Luis Obispo Repertory Theatre is proud to present the family holiday classic, A Christmas Story. Reoccurring on Sunday, Wednesday, Thursday, Friday, and Saturday. This family friendly Holiday Parade begins at 16th Street, travels west down West Grand Avenue to 9th Street and finishes at the Ramona Garden Park Center. This is the only daytime parade in South San Luis Obispo County! 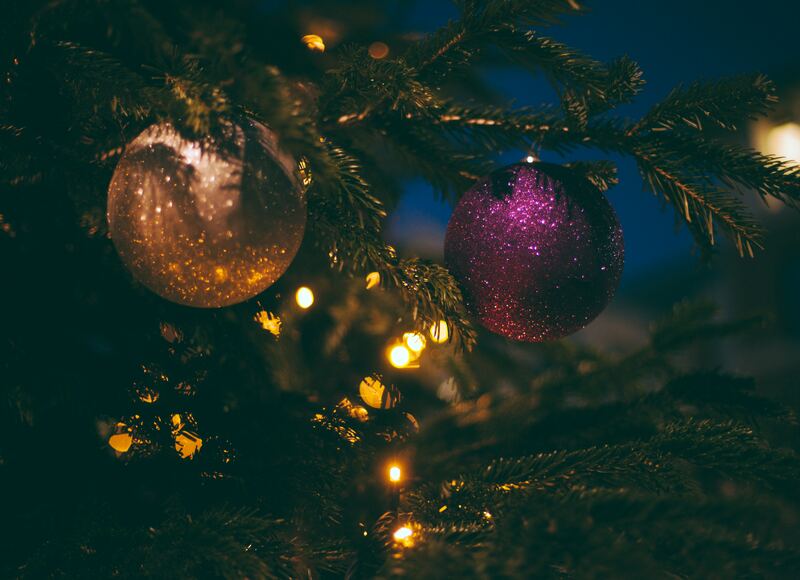 Bring the entire family and celebrate the holidays in Grover Beach. This event is FREE to the public and the evening will include fresh snow, bounce houses, crafts, music, and cookie decorating. The Tree Lighting ceremony will take place at 6:00 PM. In addition, kids will have the chance to visit and take a picture with Santa! A winter paradise indeed for all ages! Massive snow slide, snow play areas, rock climbing wall, bounce houses, Joe’s Little Train, Santa and Mrs. Claus and over 50 food and craft vendors await you! Have fun and get some shopping in all in one evening. The Avila Beach Golf Resort Holiday market has the craftiest local vendors, tastiest food trucks and live music by Noah Colton. Admission is FREE, but feel free to bring a canned food donation for the SLO Food Bank, or an unopened toy to donate to Toys for Tots. Santa is visiting the animals at the Charles Paddock Zoo to deliver special gifts to our animal friends on Saturday, December 15th. Join Biddle Ranch for a beginning watercolor workshop where you learn how to paint a beautiful holiday wreath! The ticket fee includes professional artboards that are ready to display, paper to use during the workshop, instruction from the resident artist, and a glass of wine! Whether it’s your first year on the Central Coast or you've lived here for years, we are certainly lucky to live here!